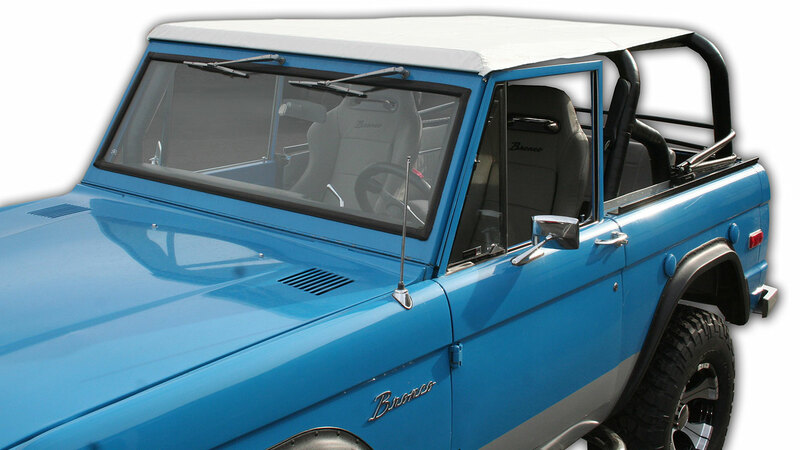 This Roll Bar Top Kit for fits 66-77 Classic Ford Broncos with Family-Style Interior Bars. Kit comes complete with riser bracket and channel, wiper motor lowering bracket and mounting hardware. The Roll Bar Top is currently available in black or white.